Last night I got into bed and realized I forgot to turn off the bedroom light. Jessi gave me a look that questioned who was going to be the one to get up and turn it off. The light dimmed and turned off. We fell asleep. Welcome to the next installment of the Smart Home Adventures. 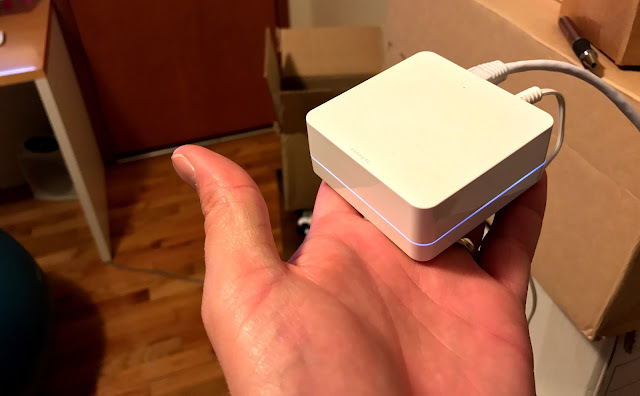 I'm on a quest to make our home the smartest on the block. So far, we have an August door lock and an Ecobee3 thermostat. They're awesome; click those links for more details. The next item we smartened up were our lights. I first looked into going the light bulb route. Philips is doing some really cool things with the Hue. You can buy an LED bulb that can turn any color. With a bridge, you can control all your lights using a variety of ecosystems (like Apple's HomeKit, my choice). My brother has one in his room, and really likes it. Some of my light fixtures don't use standard bulb sockets, so they wouldn't work. The bulbs require the light switch to be on all the time. 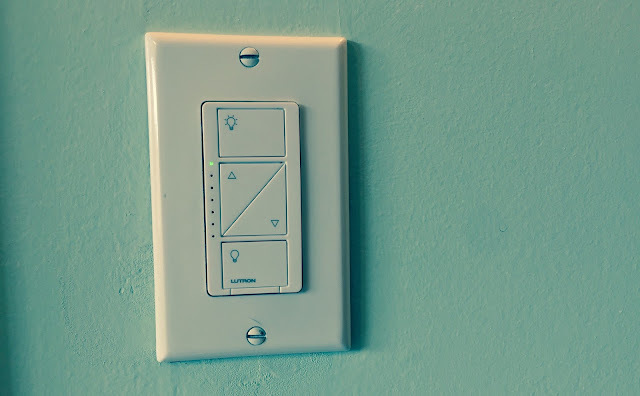 The only way to turn them on/off is to use the app, a voice system (Siri/Alexa/etc), or another button on the wall that "sets a scene", which could be on or off. Most normal people, including Jessi, wouldn't go for this. Lutron gets that normal people still use light switches. So they created a light switch, called the Caséta Wireless, that replaces your existing one. It's not quite as easy as screwing in a light bulb, but it's not too bad. Not only can you turn your lights on & off manually, you can also dim the lights, use their app, or talk to Siri via Apple's HomeKit. While sitting on the couch this morning, I realized I wanted more light for what I was reading. No big deal: grab my phone, swipe up, tap my light and it turns on. It might seem frivolous and lazy, but so did remotes on TVs when they first came out. Then, because TV remotes were so convenient, manufactures started adding more features to the point that remotes became an integral part of the TV. Thinking about lights... Philips is already adding color. Someday (Or today) music speakers will be added to bulbs/fixtures, and smoke alarms, and motion/moisture/temperature sensors or wireless extenders. Given their whole house coverage and access to wired power, there are some cool possibilities. 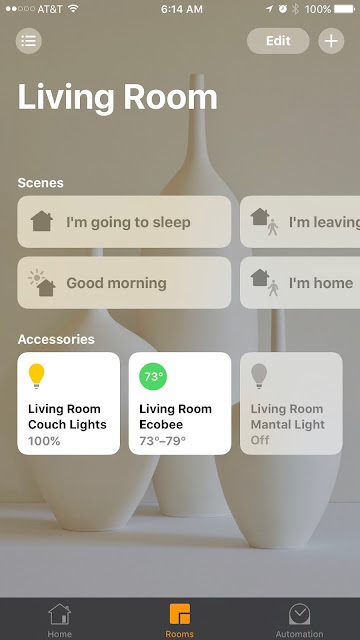 One cool feature we can do through HomeKit today is add triggers: our smart things can automatically perform actions based on criteria such as my location or time of day. So, if we go on vacation, we can schedule our lights to turn on & off, making it seem like we're still home. We can also have our entry light turn on as we drive up to our house. Imagine waking up in the middle of the night. The light senses movement, and so it turns on a faint blue glow to guide you, but not fully wake you up. As you move through the house, each light fades in and out. Then, in the morning, the lights continue to sense you, but instead delivers a bright white so you can see exactly what you're doing. Sounds nice, doesn't it? We're not there yet (and my switches won't do this), but this is the direction we're headed in. 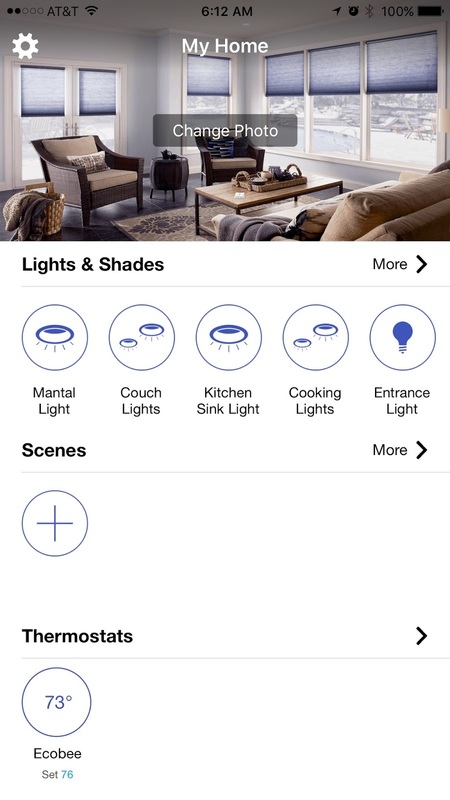 This is Lutron's app. I use it to add lights to the system, but that's about it. I have no idea why the "scenes" section is empty when I have multiple ones set up in HomeKit. I actually use Siri, or the Home App, to control the lights. Like most smart accessories, Lutron also requires a bridge to communicate with the light switches. It's fairly small and plugs directly into my router. Are Smart Lights Really Needed? Well... no... I haven't done some of sort of cost/benefit analysis that weighs the additional expense against potential electrical savings, but there probably isn't any (just buy LED bulbs; that's 99% of the savings). It's also not such a huge time saver that "getting time back" can be used to justify them either. Instead, they're fun to have, and do afford little conveniences. For example, when I tell Siri "I'm going to sleep". 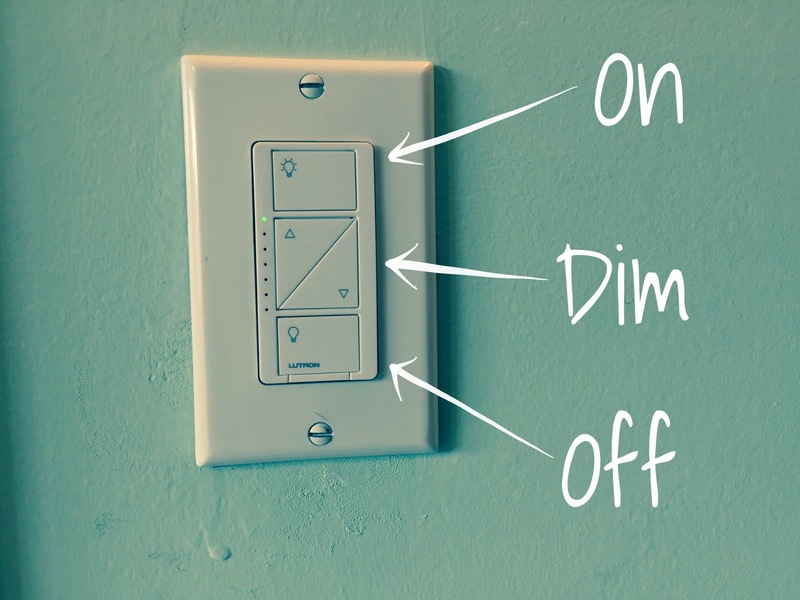 It turns off all the lights, but dims to 25% one light in the kitchen, one light in the living room, the hallway, and the master bedroom. Then, when in bed I tell Siri "good night", and it turns all the lights off.